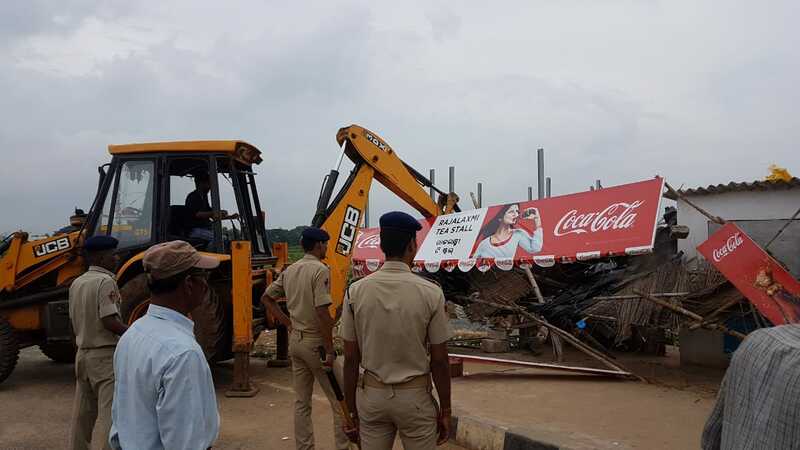 Bhubaneswar: In order to make the NH-203 bypass from Pandara Square up to Daya Bridge free from the parking on the roadside and illegal encroachment through making temporary shops and business units, a joint squad of the Bhubaneswar Development Authority (BDA), Bhubaneswar Municipal Corporation (BMC), National Highways Authority of India (NHAI) and Commissionerate police today removed 108 temporary structures between Saptasati Temple and Hi-Tech Square near GGP Colony. 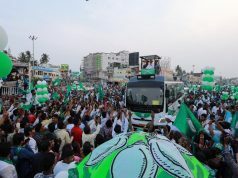 The joint eviction was necessitated as during the Car Festival the road will be experiencing heavy traffic which would be coming from the Cuttack-end. The world famous Car Festival in Puri starts on July 14, this year. Sources at the Central Enforcement Monitoring Committee (CEMC) said that the day-one activity was under Mancheswar Police limits. In a three-phase eviction process the encroachments would be removed from the entire stretch between the Saptasati Temple and Daya Bridge. While the second phase work will be carried out under Laxmisagar and Saheed Nagar police limits jointly, the third phase would be carried out under Dhauli Police limits. The NHAI local authorities have given the requisition for the enforcement along the NH-203 bypass as day-by-day the increasing encroachment along the busy road has been putting the commuters in great distress. It can be mentioned here that while the original NH-203 was passing through the city between Rasulgarh Square and Samantarapur, due to the congestion, the NHAI authorities proposed the bypass and the new road was built between Pandara and Lingipur. During the construction phase also numerous encroachment issues caused delay in the execution of the project.